Print one or more Beat*Shot Radio BINGO cards (for mobile play, use the Skitch app). 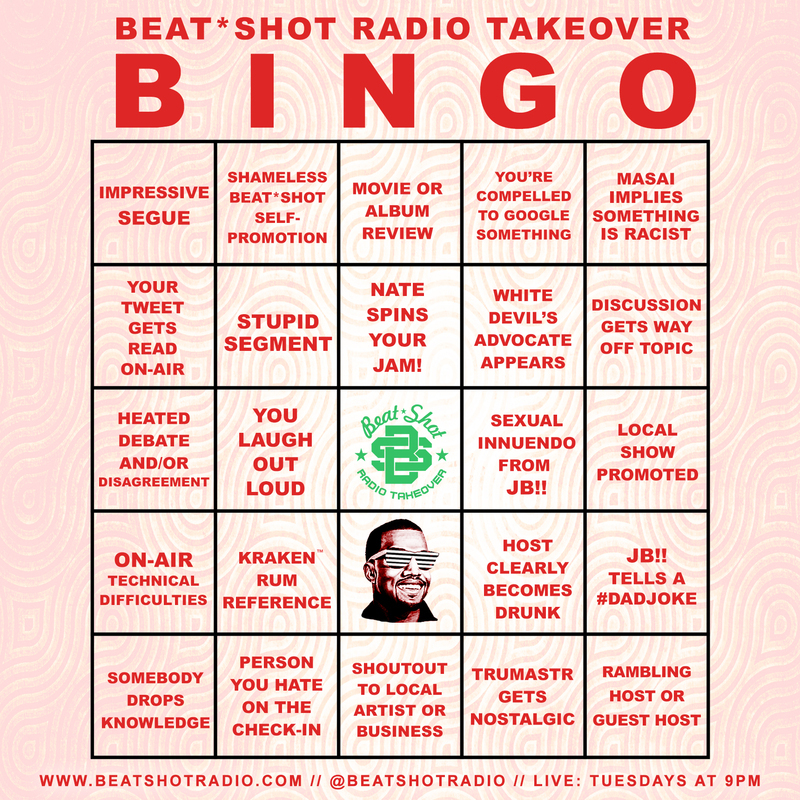 Mark cards while listening to Beat*Shot Radio’s Live Takeover - Tuesdays at 9pm. 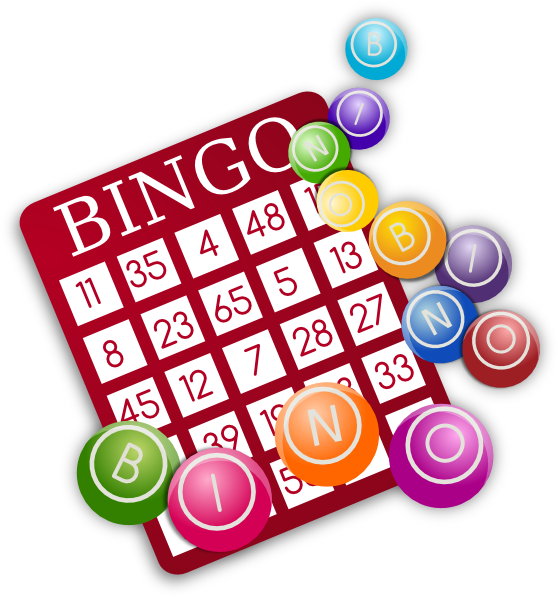 When you think you’ve got BINGO, celebrate quietly in the privacy of your own home. 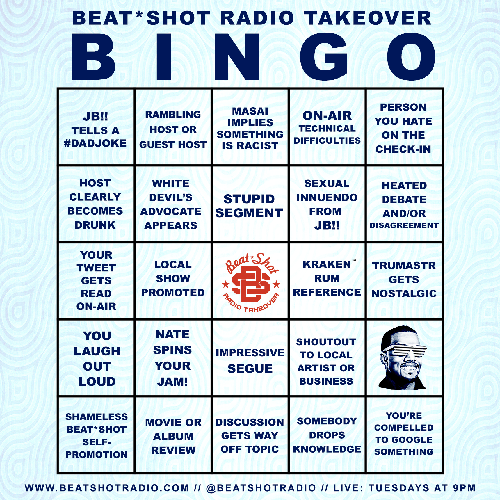 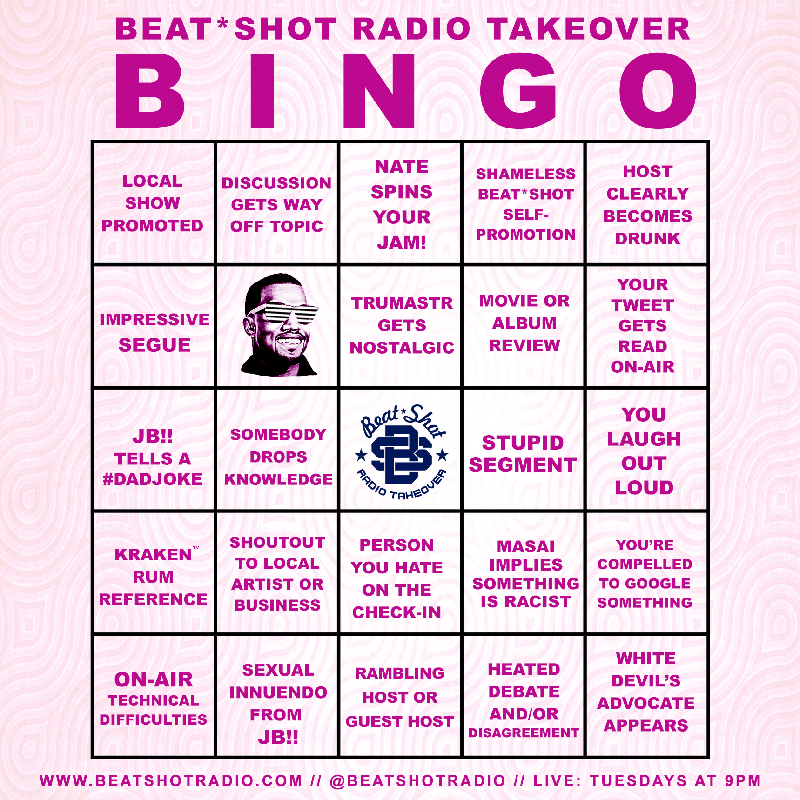 (Bonus) Tweet us your completed BINGO cards @BeatShotRadio and we may celebrate for you on the air. 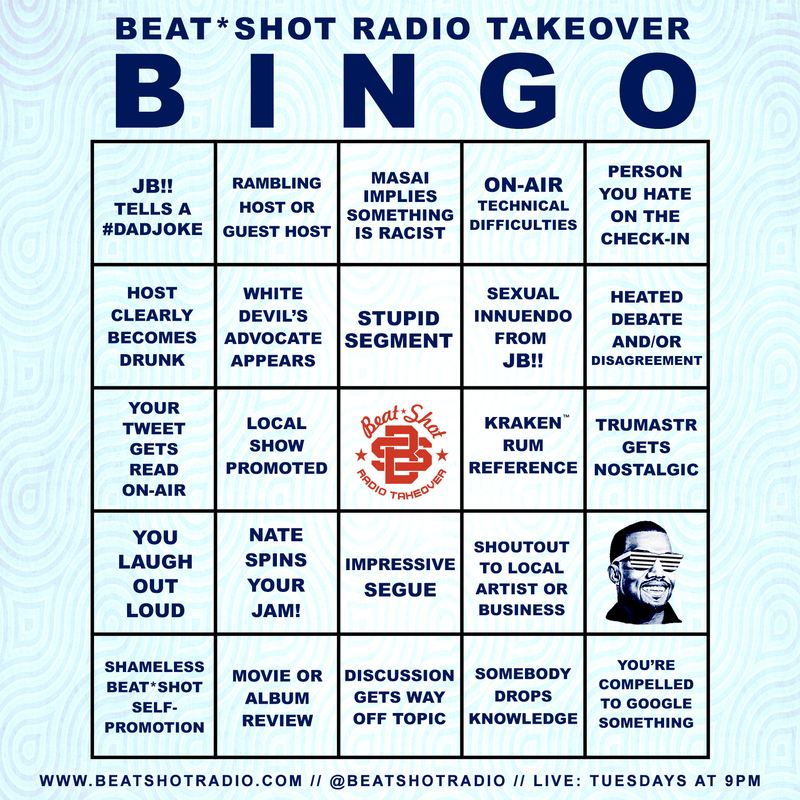 (Extra Bonus) Make this a drinking game. 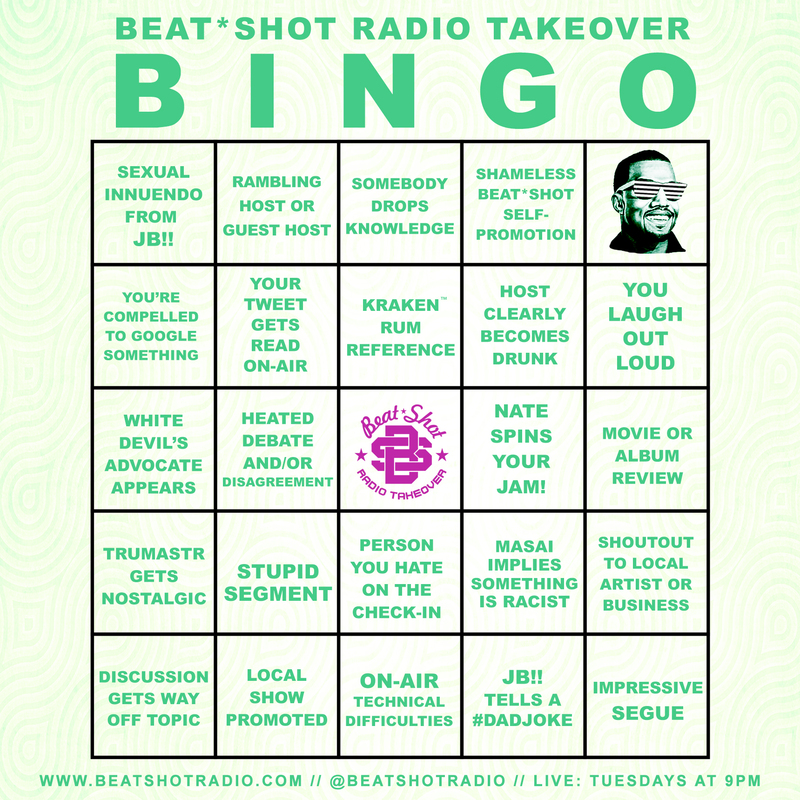 One sip (wine/beer/liquor) for every square marked. 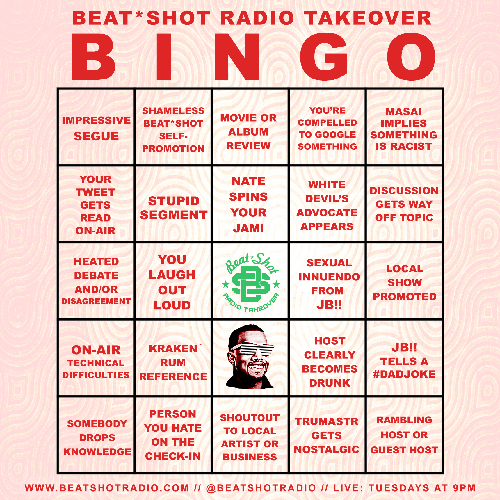 One shot or chug glass for every full line completed.